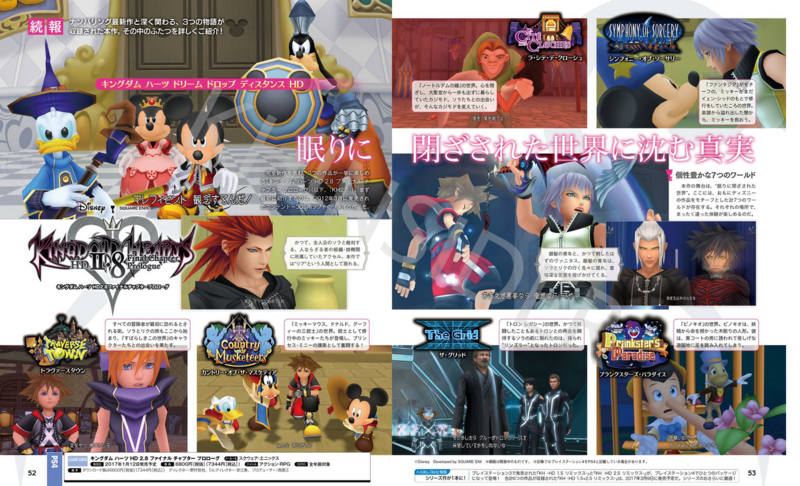 Just like Dengeki Online, Weekly Famitsu have released the latest edition of their magazine with another feature on Kingdom Hearts HD 2.8 Final Chapter Prologue. 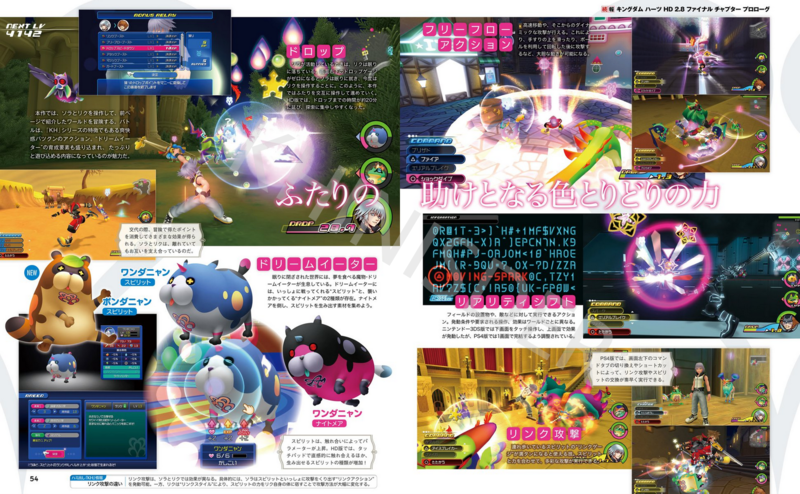 This time the focus is mainly on Dream Drop Distance HD, as well as Kingdom Hearts χ [chi] Back Cover. Remember to view the images in their full size in a new tab! 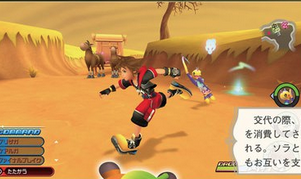 Set in the series' oldest era, Kingdom Hearts X Back Cover is a completely new animated film which sheds light on the events that occurred on the flip side during the course of both Kingdom Hearts X for the PC and Kingdom Hearts Unchained X for smartphones. 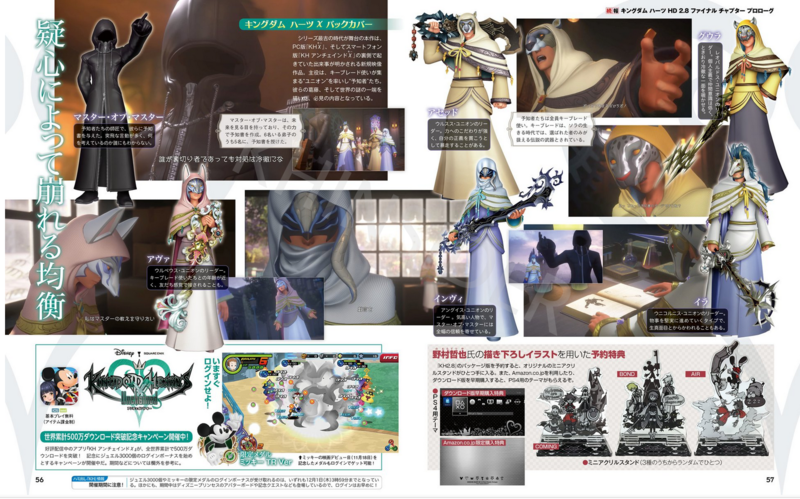 This time, taking the leading role are the Foretellers, who gather Keyblade Wielders in order to form and lead "Unions". Depicting the conflict, as well as a small part of the world's mystery, this title becomes must-see content! The master of the Foretellers, he bestowed upon them the Book of Prophecies. His manner of speech and movements are erratic, so nobody knows what he's actually thinking. Vulpis Union's leader. Being close in age to the Keyblade Wielders, she feels a sense of companionship among them. Ursus Union's leader. Obsessed with power, he will try by all means to protect his idea of justice. Leopardus Union's Leader. An individualist, he doesn't cooperate in a team very well. An uncharacteristic calmness sometimes peeks out of him. Unicornis Union'a Leader. Approaches everything reliably with care and soundness. Here and there he is mocked for being too upright. Anguis Union's Leader. Thinks very highly of herself and trusts the Master of Masters wholeheartedly. I really wish they pulled the camera back in DDD HD. 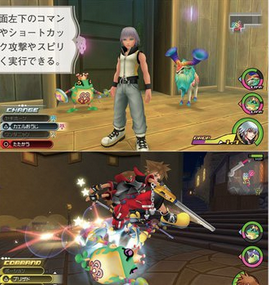 It looks extremely close to Sora and Riku during gameplay. Maybe, it's a bit hard to tell what the subtitles are saying but they don't seem to match up with any of the lines said in that scene. It's still possible, though, (I wanna see Skuld too!). These screens tell me that the camera is right up against them, which will be annoying on a big TV. Ugghh, I was really happy when the trailers came out, since it looked to me like they did pull it back. Wellâ€¦ at least I hope they reduced the character speed..
Like, they've put so much work into this game to make it feel like a console game and I feel like not pulling it back kind of destroys the game experience. Well, now I know that I can skip over the remake, what's the point of playing it if you're so zoomed in you can barely see anything around the character? Some examples as to why people would want to. Hopefully, there's a camera option to shift the distance of the camera. The video footage of DDDHD and these screenshots show drastically different results. That's possible, let's hope so. It could be they zoomed in so that we can see the characters better in these shots, but it's still worrying. Don't count on it, since there was no such thing in BBS HD. Looking at the screenshots DDD's camera wasn't even that close so I think they just zoomed in for the screen shots. Most species of foxes tend to live in small family groups rather than alone, so Ava feeling a sense of companionship fits quite well. Bears are among the most physically powerful animals on the planet, often said to be stubborn and direct. Spot on as Leopards are known for being solitary animals who like to avoid bigger groups and tend to be rather calm instead of aggressive. The Unicorn is often described as a symbol of purity, grace and righteousness which can be reliably tamed with the help/employment of a virgin. The snake, or more specific, the nile cobra, was a symbol of the egyptian pharaohs and actually adorned their crowns, so Invi thinking "highly of herself" actually fits that imagery. There's also the descriptive term of a "smug snake" for someone who's very full of themselves. Reading the profiles of the Foretellers and the stuff that Sephy pointed out, it makes me even even more curious to see how the Foretellers will interact in Back Cover. Things are going to be exciting.